Did you survive Thanksgiving? We spent the holiday on Hilton Head Island and went out for a buffet dinner at the Sea Pines Resort. It was absolutely delicious and the weather was cold, perfect for Thanksgiving Day. We had plenty of seafood and turkey along with a variety of veggies like green bean casserole and candied sweet potato. And the dessert table was filled with pecan pie, pumpkin mousse, and bread pudding. The best part was NO CLEANUP. We came, we ate, and we went back to our condo and sat by the ocean with stuffed bellies. But now that we are back in Orlando, it is time to start the preparations for Christmas. This is the season for baking, something I do not do very often. I am just not a baker, I use a lot of packaged mixes. 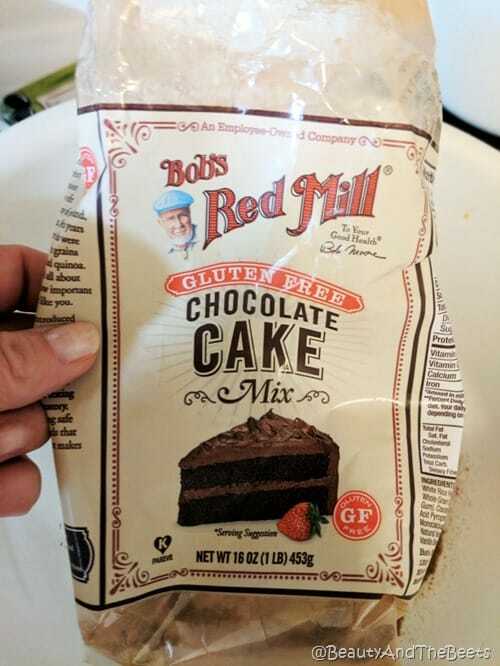 I especially love the mixes from Bob’s Red Mill (and no, I am not being paid or sponsored to say so.) I love that it is gluten-free as well. I made easy to assemble Brownie Santa Hats. 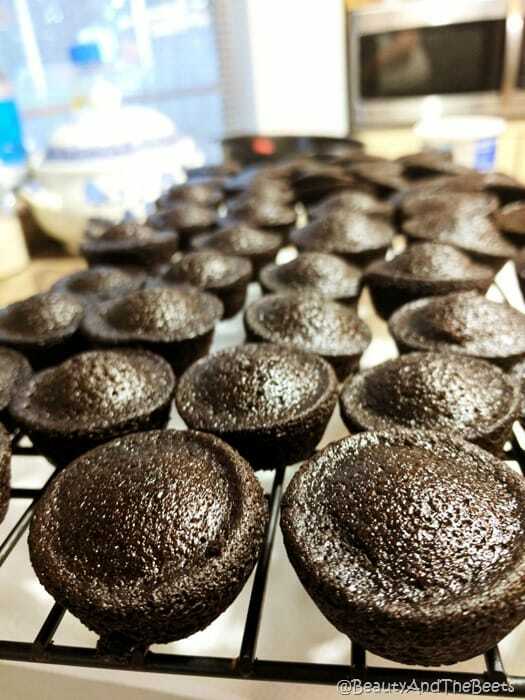 Instead of making a cake, I made brownie bites using a mini muffin pan. Frost the mini brownie bites using store bought vanilla frosting. 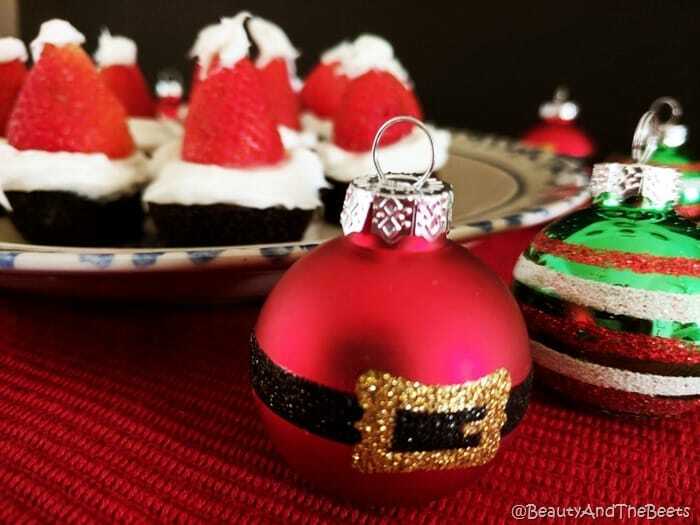 Add a strawberry upside down, and pipe a little more frosting onto the tip of the berry for Santa’s pom pom. I kept my brownie Santa hats in the fridge for a bout a week before they all disappeared, mysteriously. They probably all ended up in the belly of an inscrutable Mr. Beet. Desserts and sweets don’t last long around our house. But it’s OK, this is why he runs all those marathons. And better he eat them all than me, right? Besides, these are too cute for me to eat anyway. Easy to assemble. Easy to make. Prepare the brownie mix according to package directions. Bake brownies in a mini *muffin pan*, adjusting the baking time accordingly. 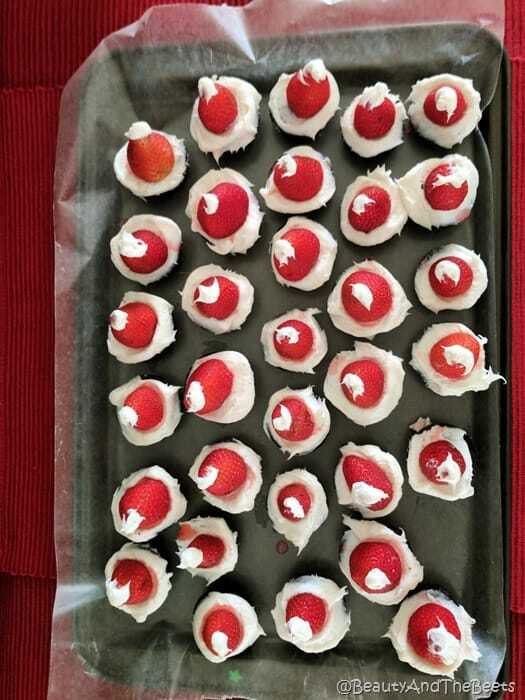 Once the brownie bites have cooled, spread enough vanilla frosting onto each brownie to hold a strawberry in place. Arrange each strawberry upside down onto the frosting. 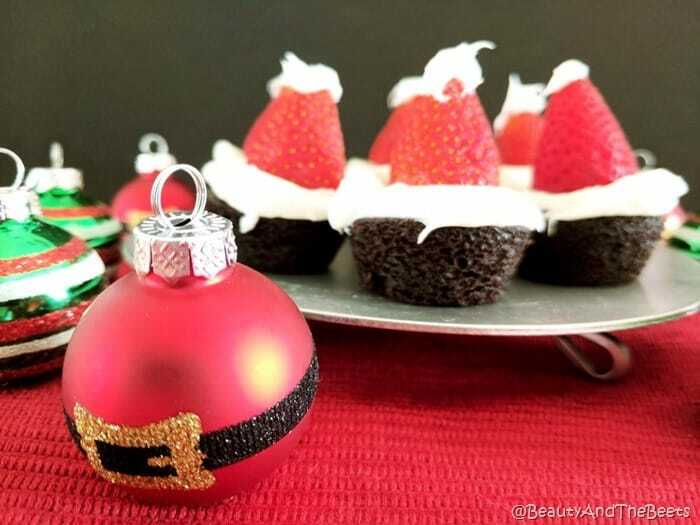 Using a piping bag (or cut a corner off a ziploc bag and fill with frosting), add a small pop of frosting to the tip of the strawberry, for the pom pom in Santas's hat. 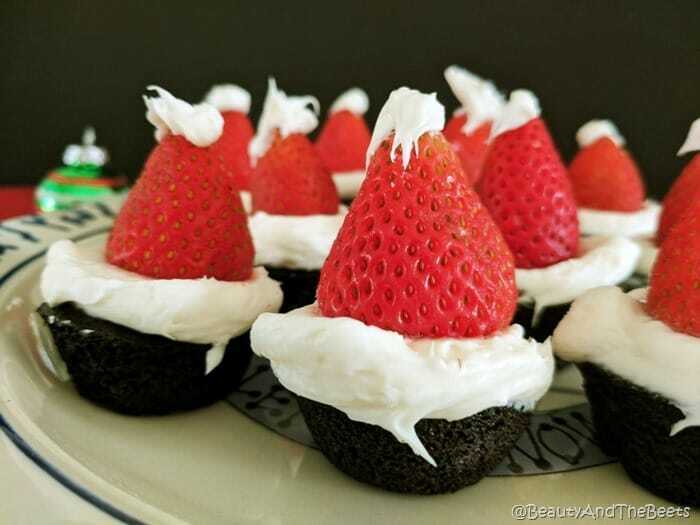 Store the Brownie Santa Hats in the fridge for up to a week. 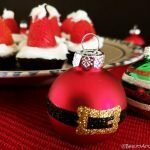 What fun foods do you make for the Christmas season? These are adorable – great job!!!!!! !